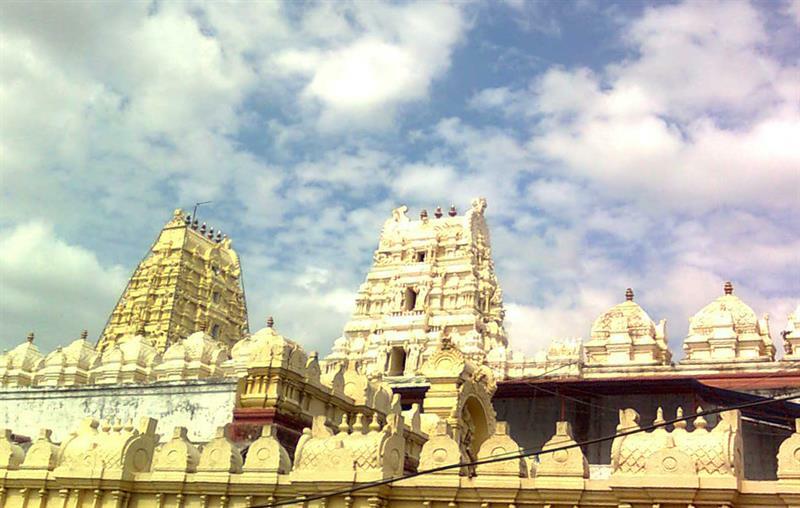 Bhadrachalam is the place for the devotees of Lord Sri Rama. I have presented my wonderful experiences in Badrachalam and the details of travelling to Bhadrachalam. Bhadrachalam is the piligrimage of Lord Seetha Rama. With the desire of saint Bhadra, Lord Mahavishnu with his interchanged adornments lived as self-idol on Bhadra hill. With the name of Saint Bhadra, the town name was settled. River Godavari flows beside this town. It wets the feet of the temple and makes the devotees holiness with its purified water. Recently, in the last year, Pushkarams for Godavari was completed. Near to this town, actual living identifications of Lord Sri Rama along with his wife goddess Sita are being appeared in Parnasala where we can find the stone on which Lord Sri Rama sat down. We can see the flaws in the rocks which are indicatons of saree which one was weared by goddess Sita. It is my pleasure to see Bhadrachalam because it is the place where Lord Sri Rama resides. Holy river Godavari as named as "South Ganga" which purifies devotees who come to here. I have seen this piligrimage at the time of Pushkaram of Godavari. Next time, I went with my parents. This temple is the result of hard work of Kancherla Gopanna who named as "Sri Ramadasu" by Lord Sri Rama. It is wonderful experience to stay here on the occasion of Sri Rama Navami. On that day, marriage of Seetha and Rama was conducted by worshippers. 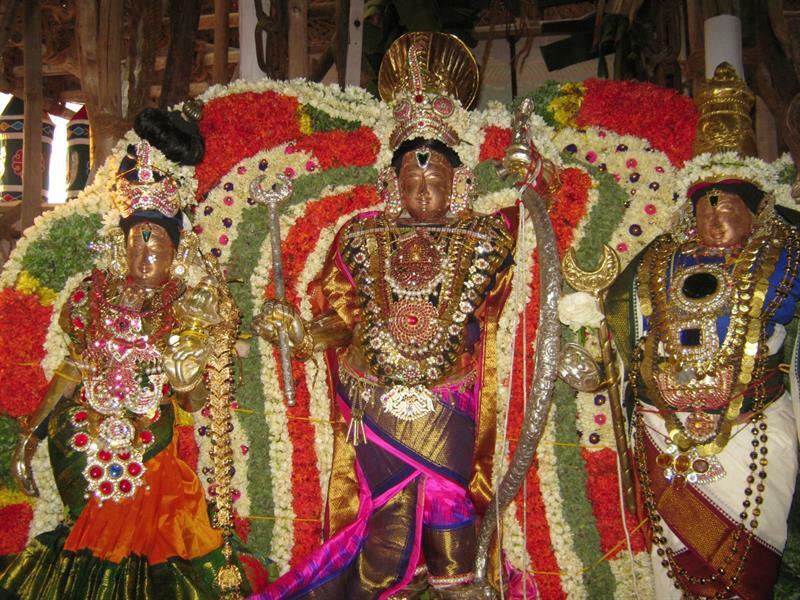 Ornaments made by Sri Ramadasu was adorned to Lord Sri Rama, Goddess Seetha and great devotee Lakshmana. To made that ornaments, Sri Ramadasu took the money from the taxes. Thanisha navab punished Sri Ramadasu. Finally, Lord Sri Rama along Lakshmana came to save Sri Ramadasu by giving money debt for them. After this incident, Navab's eyes are opened and he released Sri Ramadasu from the jail with respectable manner to excuse for his brutal activity against Sri Ramadasu. We can see the jail in Golkonda fort where Sri Ramadasu was imprisoned by giving severe punishment. Dammakka who is the first devotee of Lord Sri Rama in Bhadrachalam. She found the idols of Lord Sri Rama goddess Seetha along with great devotee Lakshmana. With the inspiration from Dammakka, Ramadasu decided to construct a temple for the residence of Lord Sri Rama. We could not explain our pleasure while we travelling on the river Godavari because its waves attract us to travel some more distance on it. Bhadrachalam is in Khammam district of Telangana state. Mainly, bus facility from major cities are available from Andhra Pradesh and Telangana. This holy place is nearer to West Godavari district of Andhra Pradesh. From Vijayawada of Andhra Pradesh, a special passenger train is available upto Kothagudem from there we can go to Bhadrachalam by bus. From Hyderabad of Telangana state, people have to come to Khammam from where number of buses available. In our India, we can find so many historical places and pilgrimages which tells us about our culture and tradition. Once if we go to such places, they remind us about our great Indian culture with proofs.